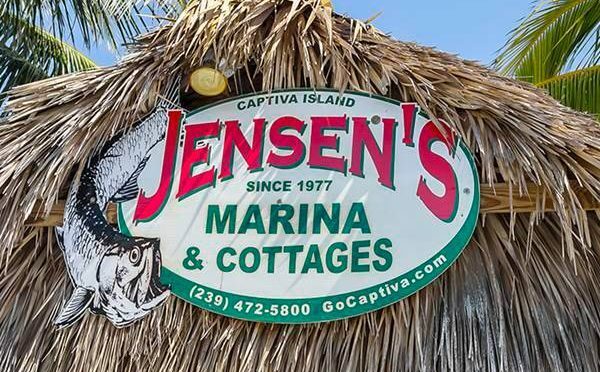 Jensen’s Twin Palm Cottages and Marina For Sale, Captiva Island Real Estate Report. Illustration Courtesy Of Myra Roberts & Jensen’s Marina. 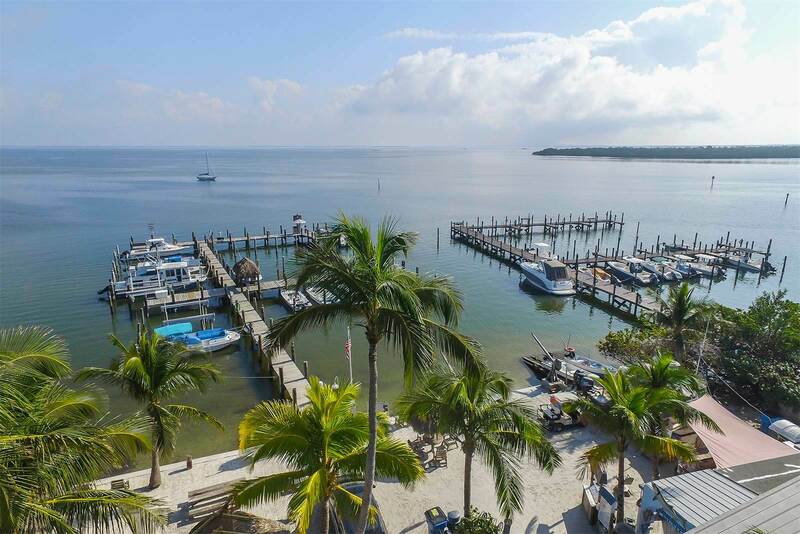 Jensen’s Twin Palm Cottages and Marina For Sale, Captiva Island Real Estate Report. Aerial View. Photo Courtesy Of Jeffrey Burns, Premier Sotheby’s International Realty. 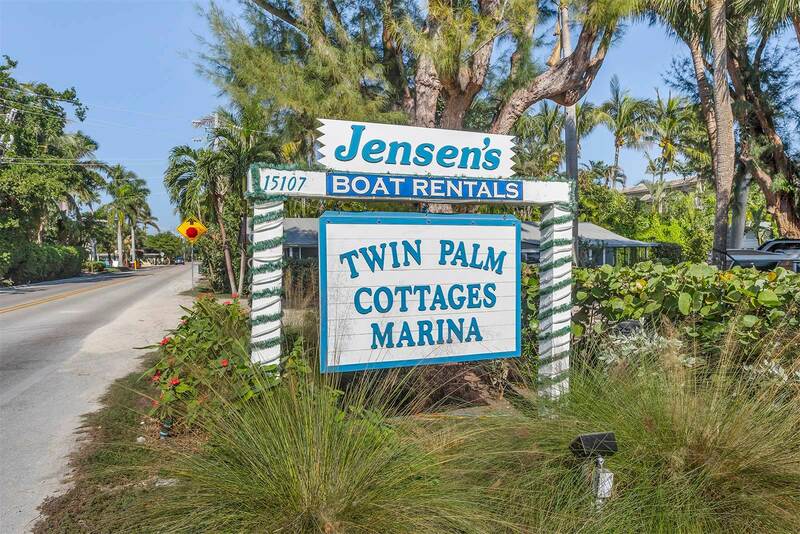 Jensen’s Twin Palm Cottages and Marina, Captiva Island For Sale: $19.85. 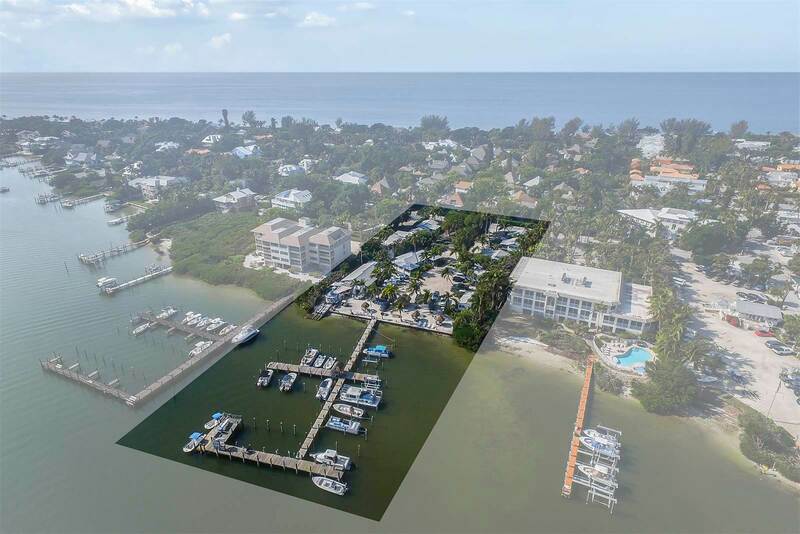 Captiva Island Real Estate Report – Iconic Jensen’s Marina For Sale. Jensen’s Twin Palm Cottages and Marina, beautiful, idyllic, and longtime, family-owned “cluster of pre-World War II wooden cottages set in a grove of palm trees on Captiva’s backshore” (New York Times article on Hurricane Charley, 2014) has been put up for sale. 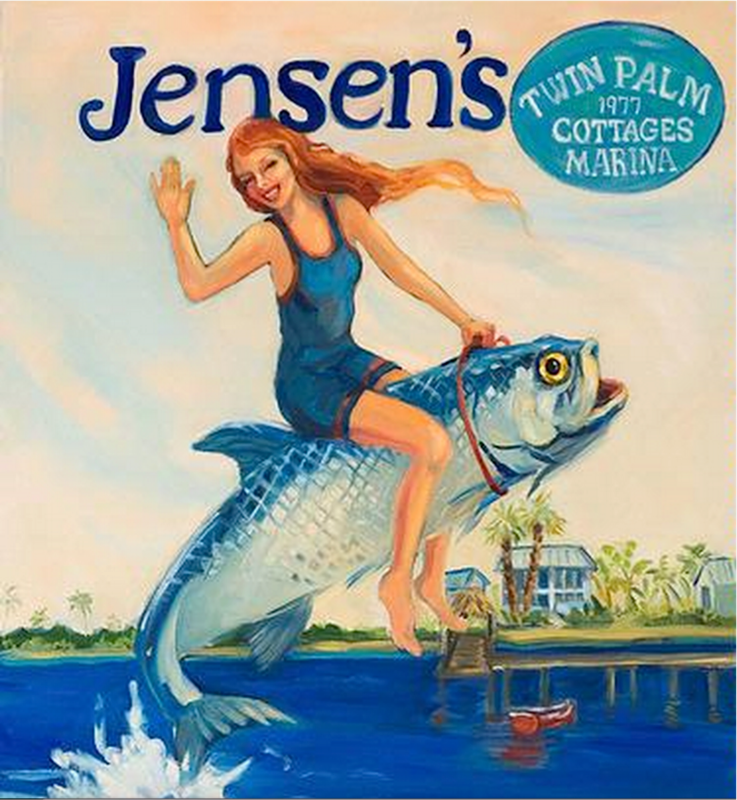 Jensen’s Marina has been owned by the Jensen family since 1977, for more than forty years. “Premier Sotheby’s International Realty announced today that it has been selected as the exclusive marketing representatives for Jensen’s Twin Palm Cottages and Marina for sale. 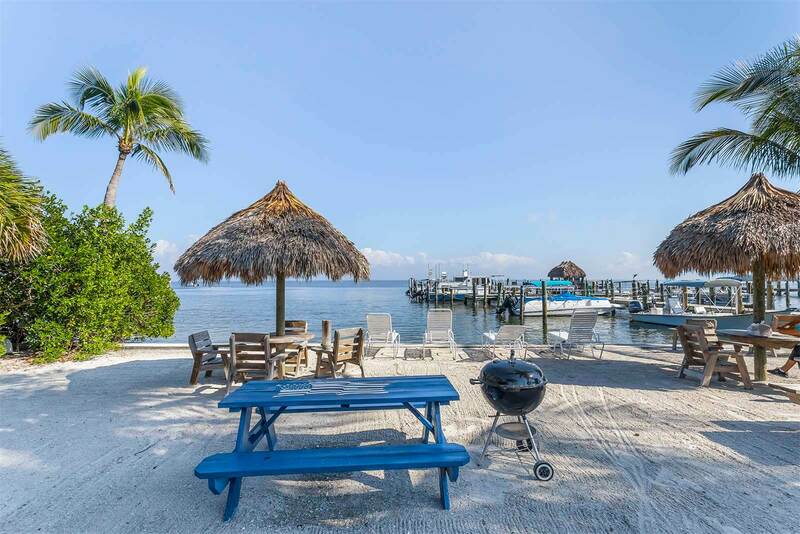 Jensen’s Twin Palm Cottages and Marina For Sale, Captiva Island Real Estate Report. Dock View. Photo Courtesy Of Jeffrey Burns, Premier Sotheby’s International Realty. 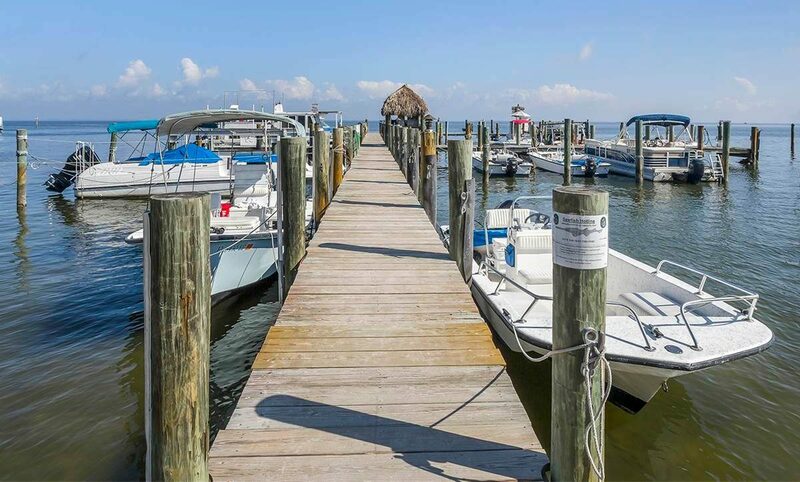 It is the only marina currently on the market on beautiful Captiva Island. An iconic landmark that has been a part of Captiva’s landscape for generations, the property located at 15107 Captiva Drive is offered at $19.85 million. Jeffrey Burns with The Burns Family Team at Premier Sotheby’s International Realty’s Captiva office has the listing. For additional details, visit the property listing here. 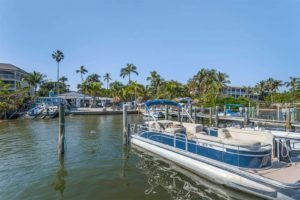 Jensen’s Twin Palm Cottages and Marina For Sale, Captiva Island Real Estate Report. Cottage View. Photo Courtesy Of Jeffrey Burns, Premier Sotheby’s International Realty. Located in the heart of Captiva’s Village area, the historic property combines old-world Florida charm with modern-day convenience, making Jensen’s Twin Palm Cottages and Marina a unique opportunity for a successful marina business or for use as a private family or company retreat. 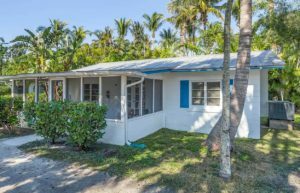 Jensen’s Twin Palm Cottages and Marina For Sale, Captiva Island Real Estate Report. Marina View. Photo Courtesy Of Jeffrey Burns, Premier Sotheby’s International Realty. Featuring 35 boat slips and 14 quaint cottages, Jensen’s has been a go-to destination for generations of vacationers and locals alike seeking to cast their lines from the private dock overlooking the Intracoastal Waterway, surrounded by pelicans, dolphins, and manatees. 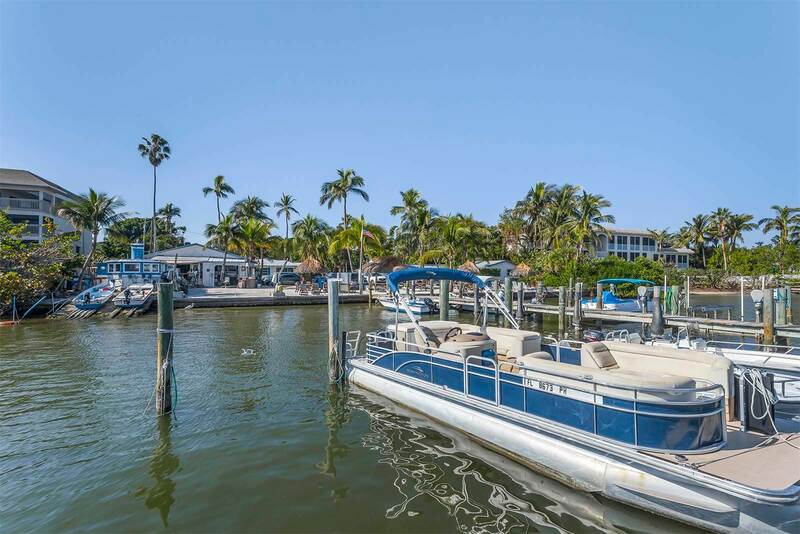 Jensen’s Twin Palm Cottages and Marina For Sale, Captiva Island Real Estate Report. Aerial View 2. Photo Courtesy Of Jeffrey Burns, Premier Sotheby’s International Realty. 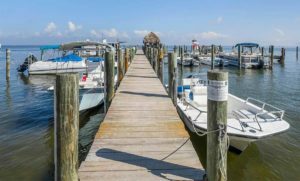 Jensen’s Twin Palm Cottages and Marina For Sale, Captiva Island Real Estate Report. Jensen’s Sign. Photo Courtesy Of Jeffrey Burns, Premier Sotheby’s International Realty. Captiva Island: Background, History, Hurricanes & Rise As A Quiet Sport Fishing & Family-oriented Vacation Island. 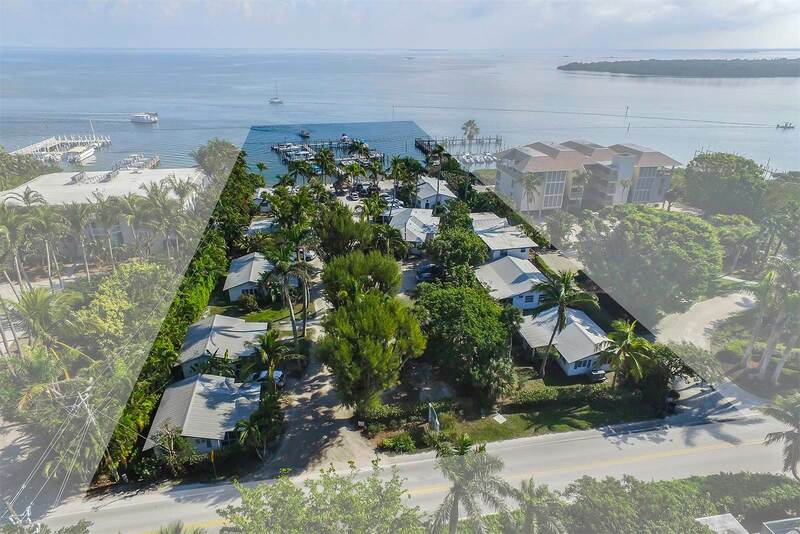 Jensen’s Twin Palm Cottages and Marina For Sale, Captiva Island Real Estate Report. Marina View 3. Photo Courtesy Of Jeffrey Burns, Premier Sotheby’s International Realty. “Captiva Island is an island in Lee County in southwest Florida, located just offshore in the Gulf of Mexico. Captiva Island is just north of Sanibel Island. Captiva was the full-time home of artist Robert Rauschenberg. His home still stands there. Captiva Vacation Rentals: Teddy Roosevelt On Boat In Captiva, Courtesy Of Captiva Historical Society. supposed existence of José Gaspar is sourced from an advertising brochure of an early 20th-century developer and may be a fabrication. Around 3000 B.C., the sands of Captiva started to erode, resulting in the eventual formation of Sanibel Island. The Gulf of Mexico waters were eight feet lower than they are today. It is said that the first inhabitants of Captiva were The Calusa Indians. The population of the Calusa is believed to have reached as many as 50,000 people. “Calusa” means “fierce people”, and they were described as a war-like people. The Calusa Indians were resistant to colonization and attacked any explorers who came into their territory. Calusa Indians built their houses on stilts without walls. They wove palmetto leaves together to build roves (twisted strands of fibers). The Calusa Indians fished for food on the coast, bays, rivers, and waterways. Jensen’s Twin Palm Cottages and Marina For Sale, Captiva Island Real Estate Report. Aerial View 3. Photo Courtesy Of Jeffrey Burns, Premier Sotheby’s International Realty. They did not farm. “The men and boys of the tribe made nets from palm tree webbing to catch mullet, pinfish, pigfish, and catfish. They used spears to catch eels and turtles. They made fish bone arrowheads to hunt for animals such as deer. The women and children learned to catch shellfish like conchs, crabs, clams, lobsters, and oysters.” The Calusa Indians used the shells on the island for utensils, jewelry, tools, weapons, and ornaments. By the late 1700s, most of the Calusa Indians had died out. Many were captured and sold as slaves while others died from diseases such as smallpox and measles. Captiva Vacation Rentals: Teddy Roosevelt, Captiva Island, At Snyder Outdoor School for Boys, Courtesy Of Captiva Island Historical Society. “Originally part of neighboring Sanibel Island to the southeast, it was severed in 1926 when a hurricane‘s storm surge created a new channel, Blind Pass. The channel filled in over subsequent years but was reopened by dredging in the summer of 2009. Like Sanibel, Captiva is a barrier island to Pine Island (to the east of Captiva and north of Sanibel), however, it is much narrower. The only automobile access to Captiva is via the Sanibel Causeway and Sanibel-Captiva Road, which ends in the CDP of Captiva, the island’s only CDP. Captiva was homesteaded in 1888 and a tiny cemetery next to The Chapel by the Sea has the grave of the original resident, William Herbert Binder (1850–1932), an Austrian. Half the island is in private ownership, with “Millionaire’s Row”, luxury homes on gulf and bay side of Captiva Drive. The South Seas Island Resort entry gate is at the end of this road. Roosevelt Channel on the east side of the island is named for Theodore Roosevelt who fished there. “Captiva was seriously damaged in August 2004 when the eastern eyewall of Hurricane Charley struck North Captiva, immediately before hitting Charlotte Harbor to the north-northeast. 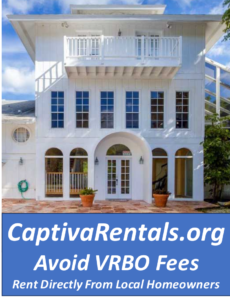 Captiva Vacation Rentals: Manatees, Captiva Island, December 2017. Captiva Island escaped Hurricane Irma largely unscathed. Captiva Vacation Rentals: Snook A Smile, Captiva Island, November 2017.
east after Hurricane Irma’s “second landfall was made, as a Category 3 hurricane, at Marco Island at 3:35 pm. EDT [on September 10, 2017].